HomeoPet Joint Stress Improve your pet?s quality of life with the HomeoPet Joint Stress Dog, Cat, Bird & Small Animal Supplement. Because no one wants to see their beloved pet struggle to get around, this homeopathic liquid helps to provide temporary relief from stiffness, soreness, and other joint ailments that occur with age. Drawing on hundreds of years of natural medicine therapy, the all-natural formula uses only the purest, chemical-free homeopathic ingredients that cause zero known side effects. Easily administer by mouth or food or water, and then look forward to a little extra pep in your lifelong friend?s step. Homeopathic drops promote temporary relief from soreness, stiffness, lameness, overexertion, and muscle tension. 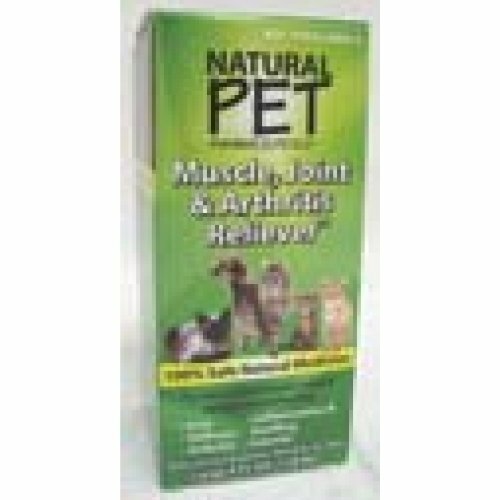 Use on dogs, cats, birds, and small animals for arthritis, hip dysplasia, previous injury, and age-related joint ailments. Chemical-free formula uses the best all-natural, pure ingredients based on years of research, and causes no known side effects. Non-sedating and safe for all pets including puppies, kittens, pregnant, and nursing animals. Easily administer by mouth or through food or water. Fast-acting liquid drops are made in the USA and registered with the FDA. 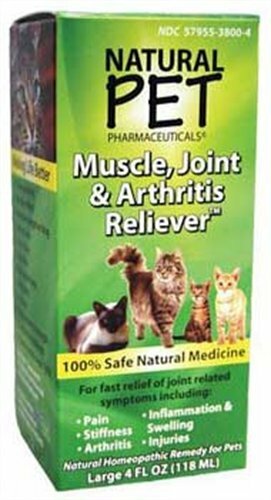 416976 Features: -Cat muscle, joint, and arthritis reliever.-For relief from joint pain, stiffness and swelling associated with arthritis, stiffness, muscle tension, cramps and more.-No alcohol, no sugar, no yeast, no toxic chemicals, no side effects.-Capacity: 4 Oz. Dimensions: -Weight: 0.35 Lb.-Dimensions: 4.75'' H x 2'' W x 2'' D.
Tomlyn provides the finest quality products made from ingredients that focus on real benefits. Tomlyn is the brand that more conscientious pet guardians depend on for nutrition, internal health, skin and coat and home and sanitizers.